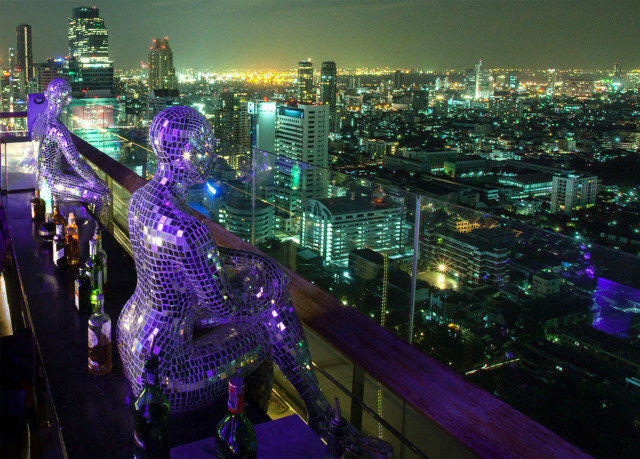 Discover the captivating contrasts of bustling Bangkok with a stay in the city’s first “Fashionable Lifestyle” hotel, Mode Sathorn Hotel Bangkok. 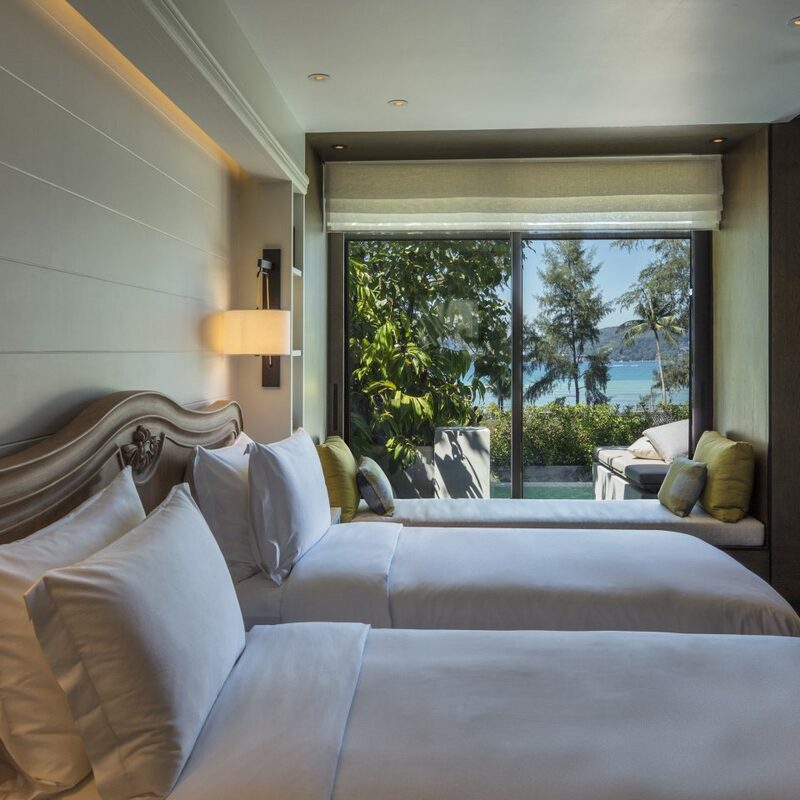 This chic and modern abode is located just moments from some of the city’s best sights; from sleek contemporary shopping malls to age-old Buddhist temples. Hop between the enticing charms of old and new, which proudly stand side by side in this effortlessly friendly city. 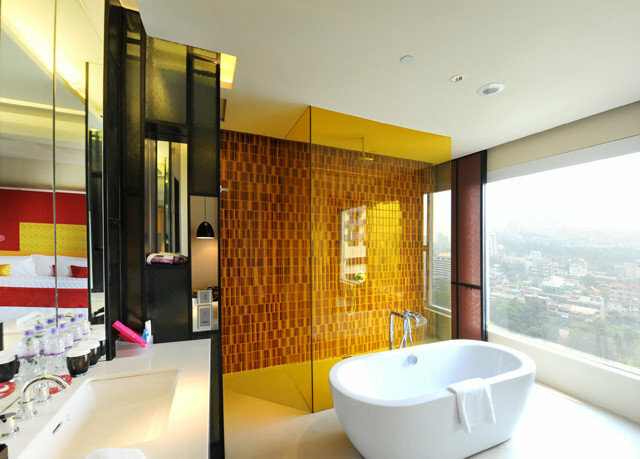 Mode Sathorn Hotel is a haven of up-to-date style across a whopping 38 floors. 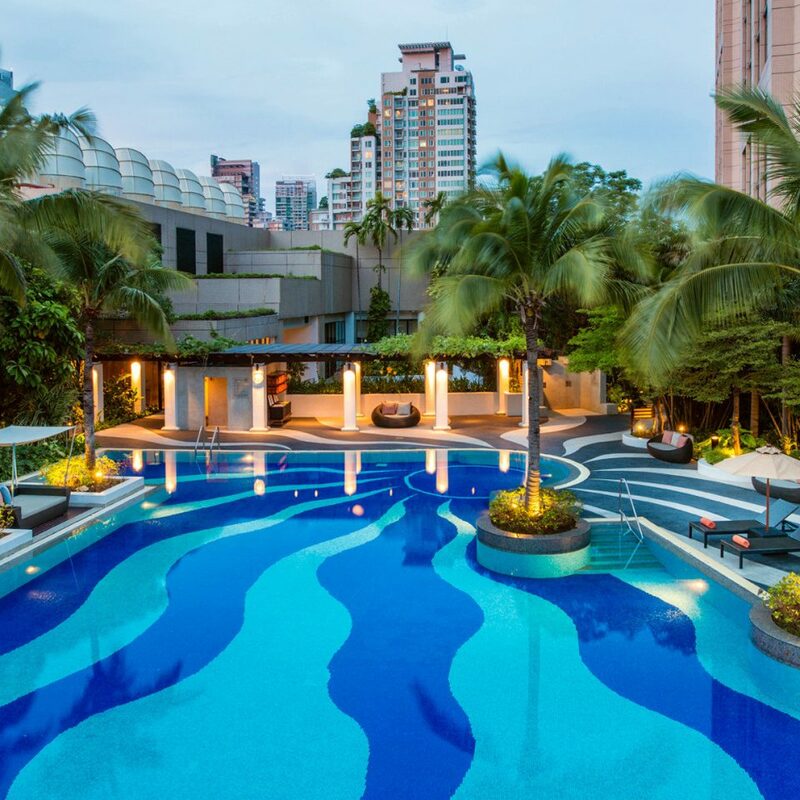 Head to the 11th level to discover the outdoor swimming pool, which comes complete with a poolside bar and impressive views over the city. 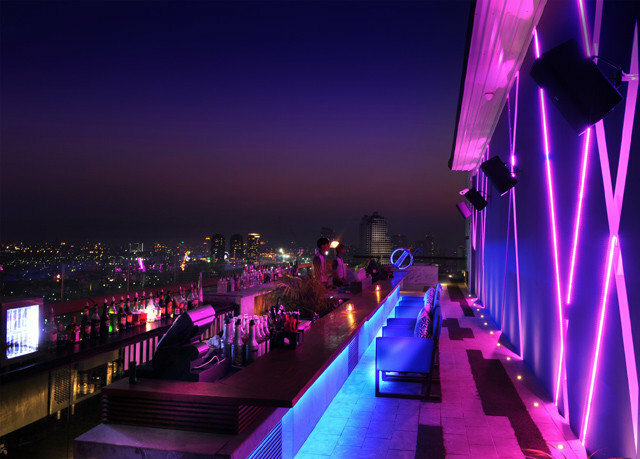 Of an evening, you can drink in the unrivalled vista of the city lights from the hotel’s fitting crown – a top-floor bar. 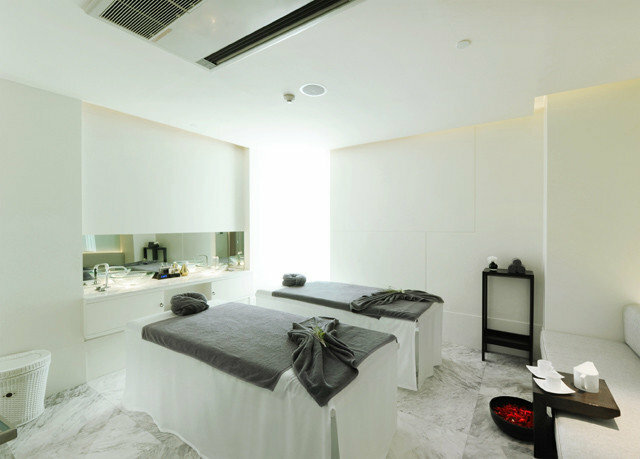 Find peace amidst Bangkok’s exciting buzz with some time in Mode Sathorn Hotel’s serene spa. Here, a ‘back to basics’ approach ensures uncluttered calm, through a dedication to the natural – be it the essential oils used in the range of treatments on offer or through the organic-inspired interior design. Once you’ve utterly relaxed you won’t have far to wander to find a laid-back dinner, with two restaurants to choose from – each offering their own unique, stylish setting. 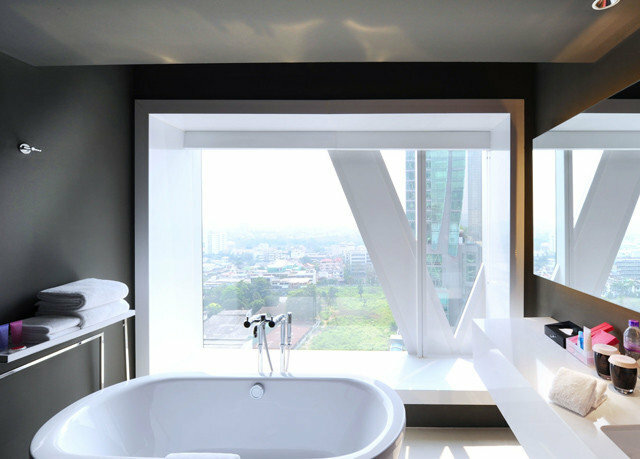 Deluxe Mode rooms are located on the 14th to 36th floors of the hotel and boast ultra-modern interiors across three design styles. 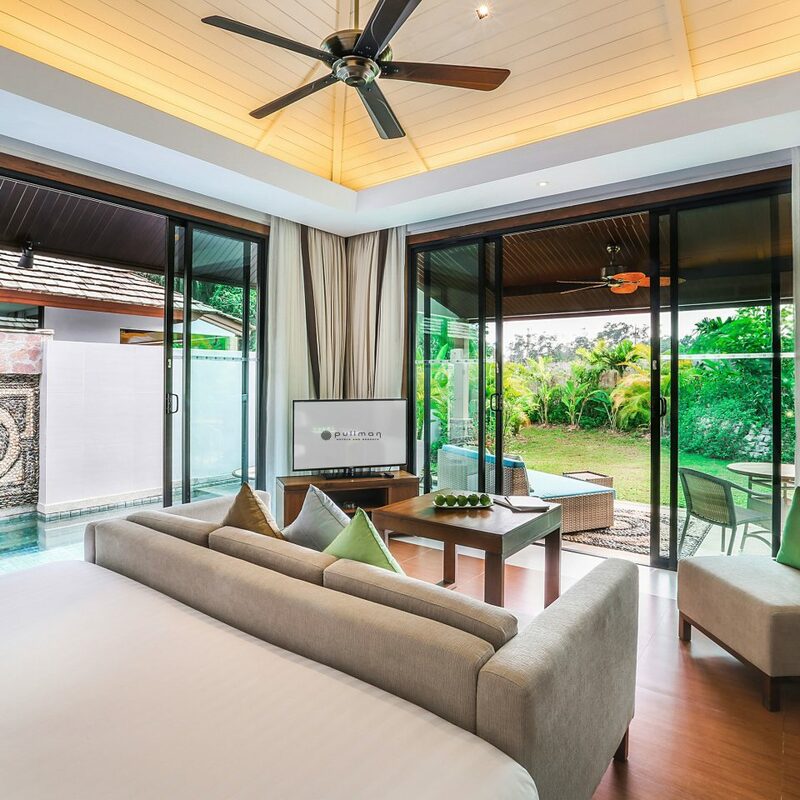 Large windows allow plenty of sunlight to fill the space, which is roomy at 27 to 38 square metres. 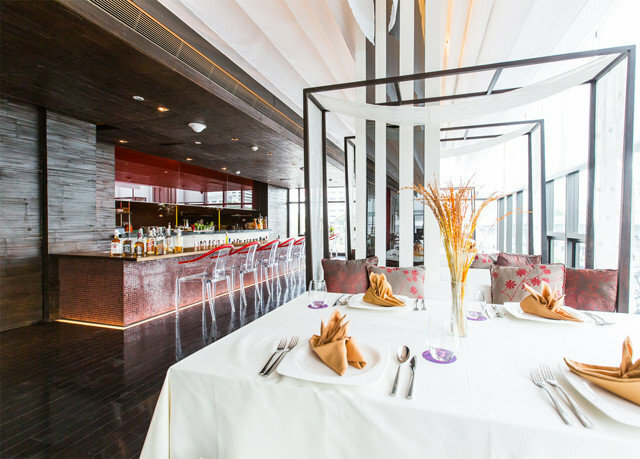 Mode Sathorn Hotel offers two enticing restaurants and a tempting bar. 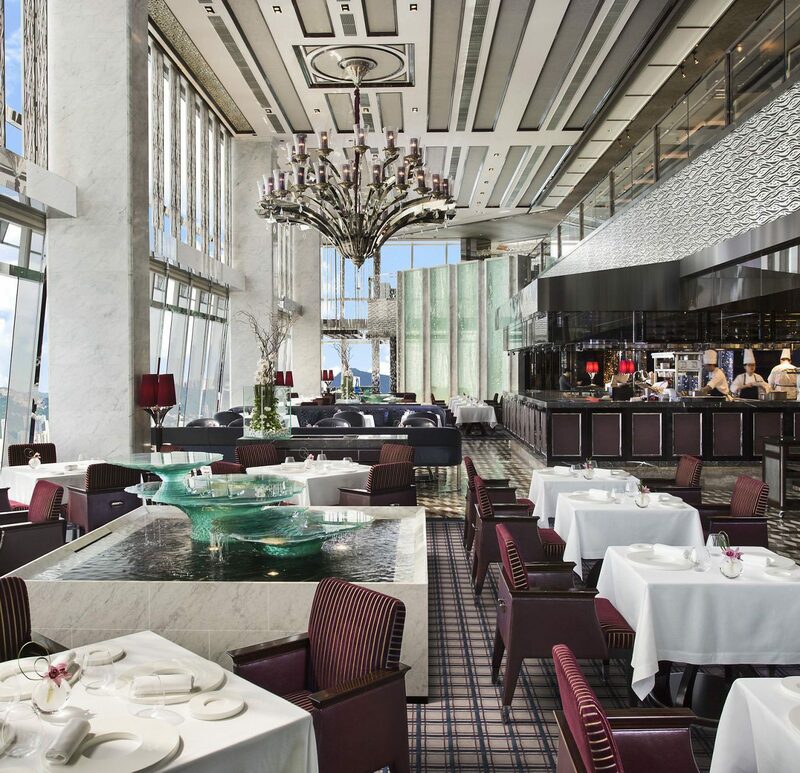 BLD is an all-day-dining destination, serving European cuisine. 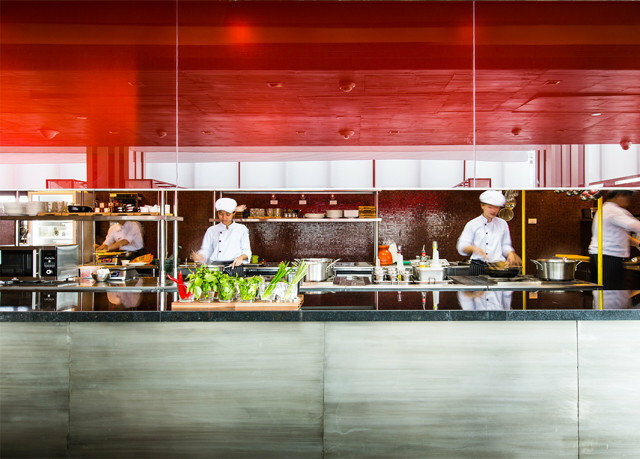 Breakfast is served in The Sathorn, where you’ll find a buffet filled with both Asian and European delights. 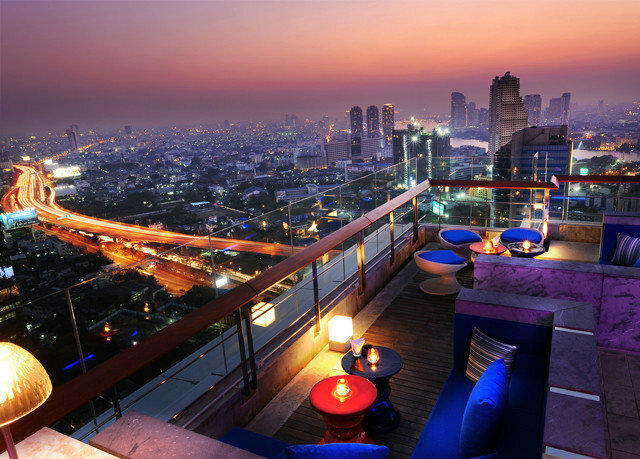 For drinking, the The Roof @ 38th Bar offers international tapas over epic city views. 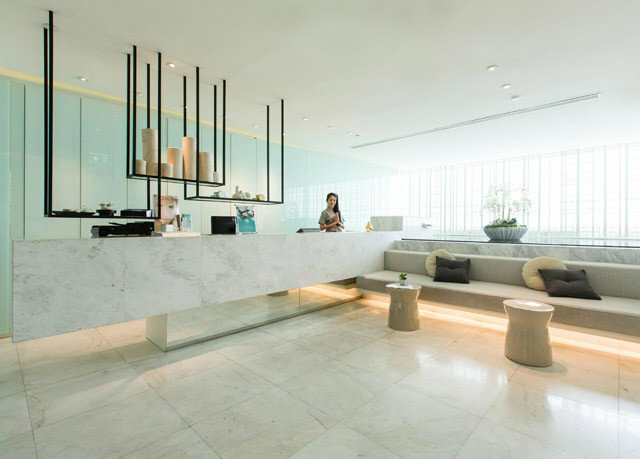 Mode Sathorn Hotel’s Borisud Pure Spa takes their relaxation design ‘back to basics’ with a dedication to natural products and tried and tested therapeutic techniques. 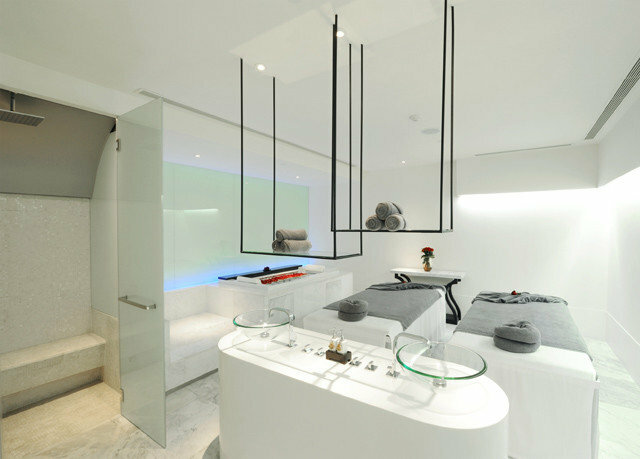 The spa’s facilities include an infra-red sauna, Jacuzzi, steam room and chill shower, which are all presented in a contemporary setting with a calming palette of whites, greys and stone. 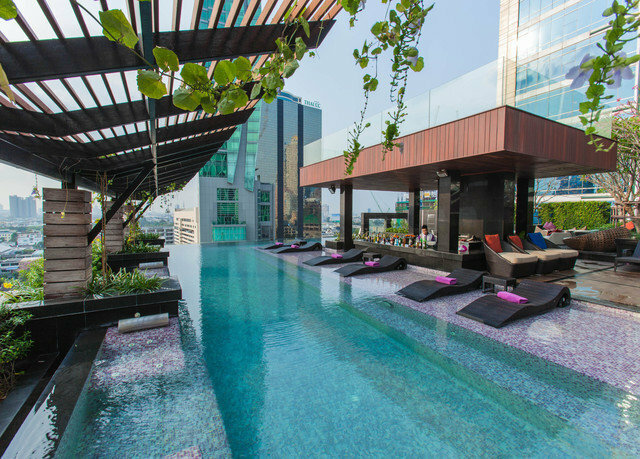 Mode Sathorn Hotel is located conveniently close to Bangkok’s shopping, business and entertainment districts, next to Surasak BTS Station. 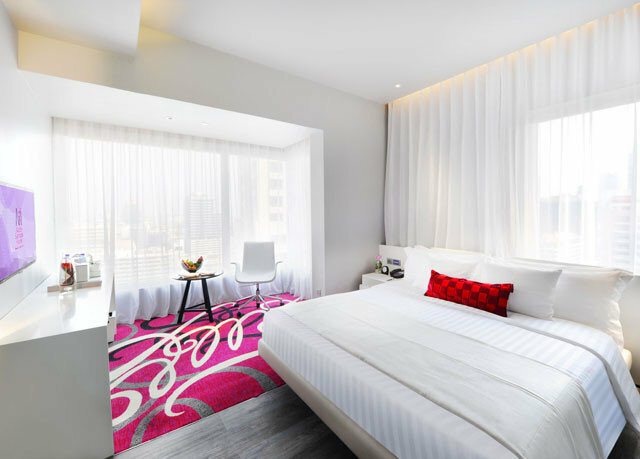 Silom Road (the “Wall Street of Thailand”) and Asiatique The Riverfront are within easy reach, and Suvarnabhumi International Airport is 35 kilometres away.Bangkok itself is a rich fusion of contemporary culture and heritage charm. You’ll find sleek shopping malls and plush restaurants immediately juxtaposing age-old homes and humble street-food vendors. 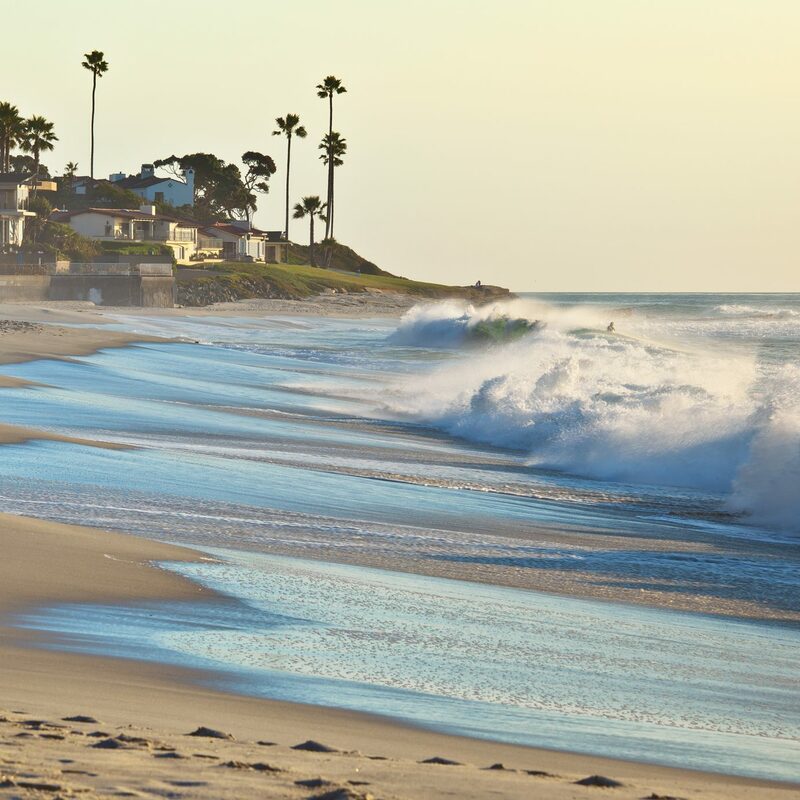 All this in a city populated with effortlessly agreeable residents, who’ll blanket your experience of the city in their unparalleled sense of fun. 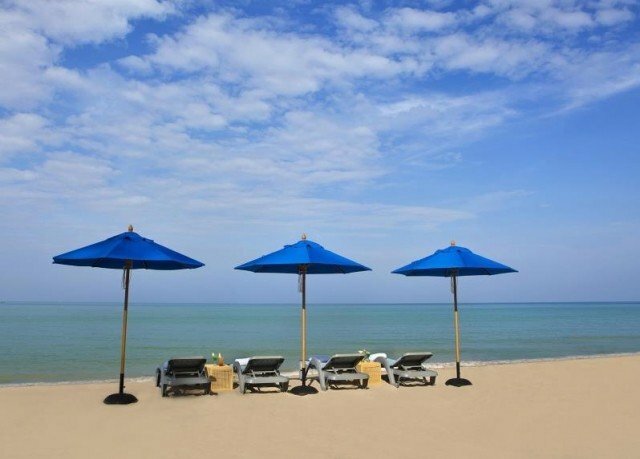 Lovely hotel, great staff, perfect introduction to Thailand. First room 26th floor, was fab clean and bright once we had learned how to use their light system, front of house staff were helpful and fab, the pool and 10th floor restaurant (breakfast) was good too, the roof top bar had stunning views, however the staff were, hostile, unhelpful, they made no effort with customers,,perhaps we caught the, on a bad night, we did try again on our return to Bangkok only to be disappointed by the staff again, shame really the view is amazing however the service doesn’t match the view. This is a nice neat modern hotel with close proximity to BTS and massage/spa. 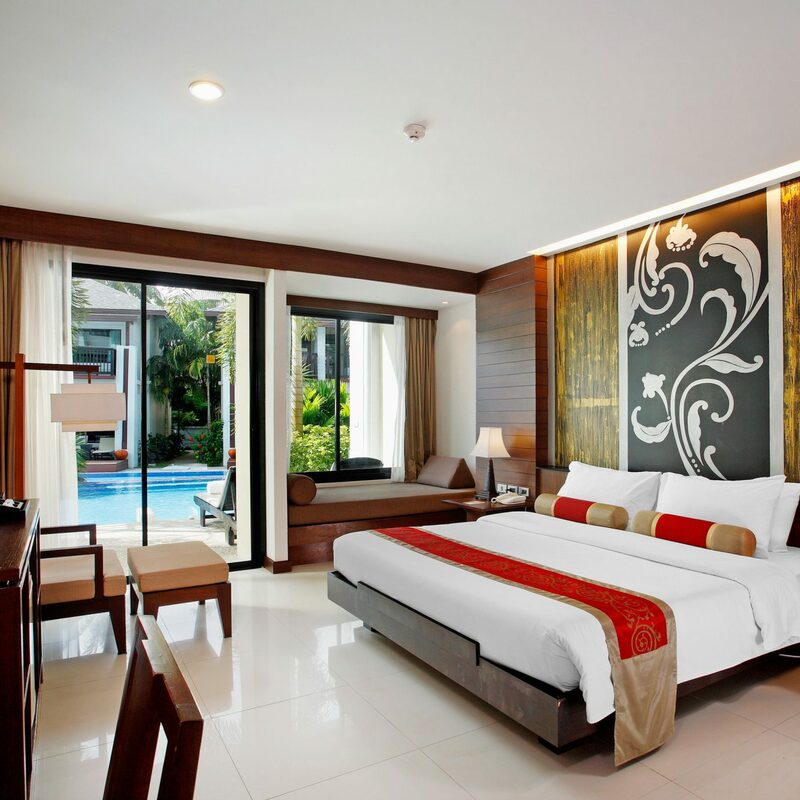 The checkin was straight forward without much hassle and the staff was helpful with all the necessary information you need. I stayed here with my wife for 4 nights, the staff from the outset were exceptionally courteous and helpful and remained so until our departure. 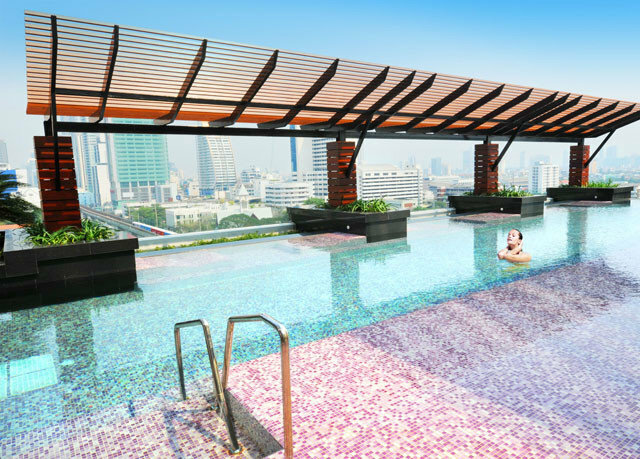 The outside swimming pool on floor 11 is clean warm with a small bar where dtinks and food can be obtained and is a joy to use. The sky train station is right outside which is very easy and cheap to ride. Our only little grumble was the room was very dark. That aside the air conditioning worked well the beds were comfortable the room clean and tidy with a separate free standing bath and shower. 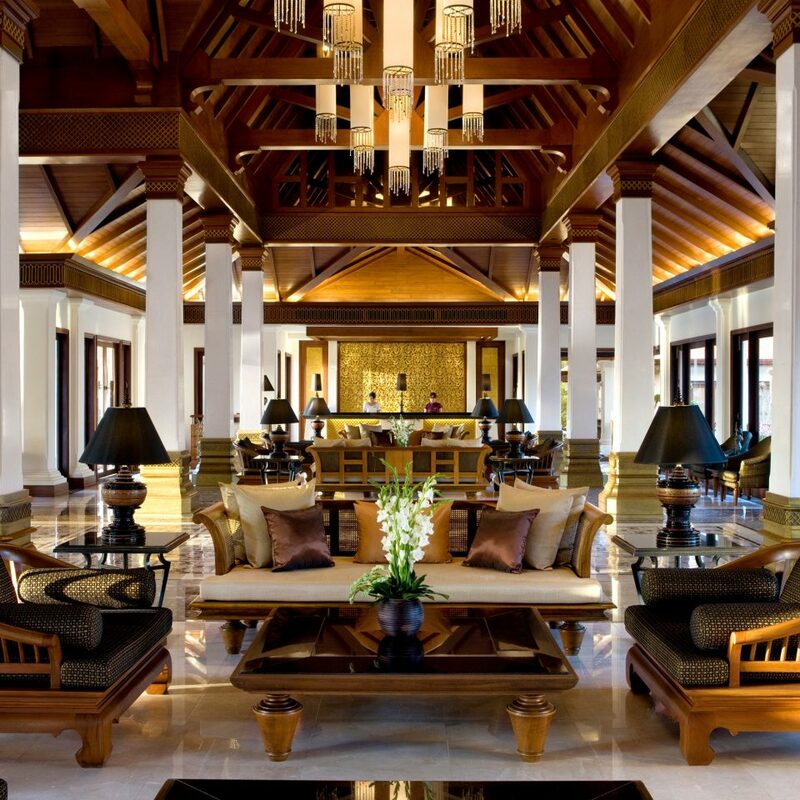 We would both recomend the hotel.